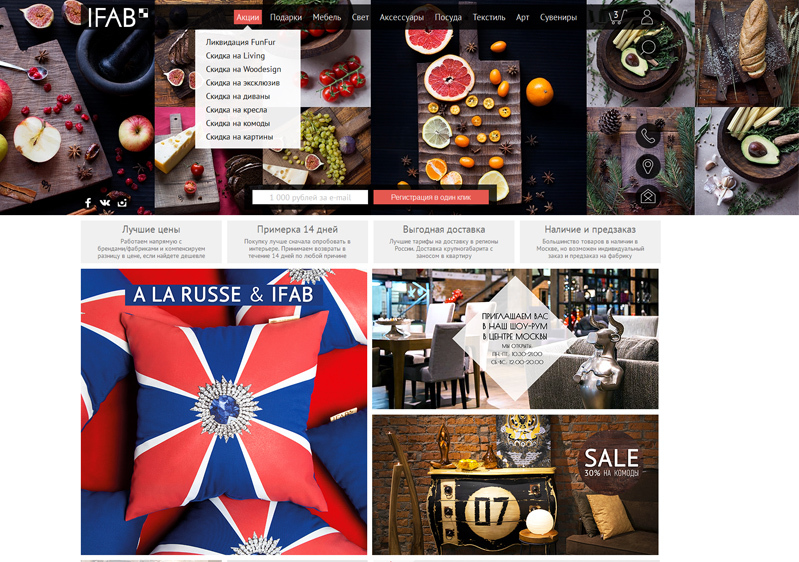 InteriorFab – is a designed interior brand famous for the unique character and ingenuity. We followed their unusual approach in our project and improved the standard interface with non-standard solutions. 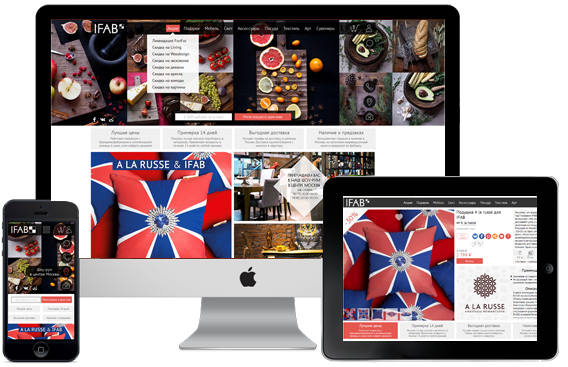 We updated completely the online shop and developed the design and usability from scratch. 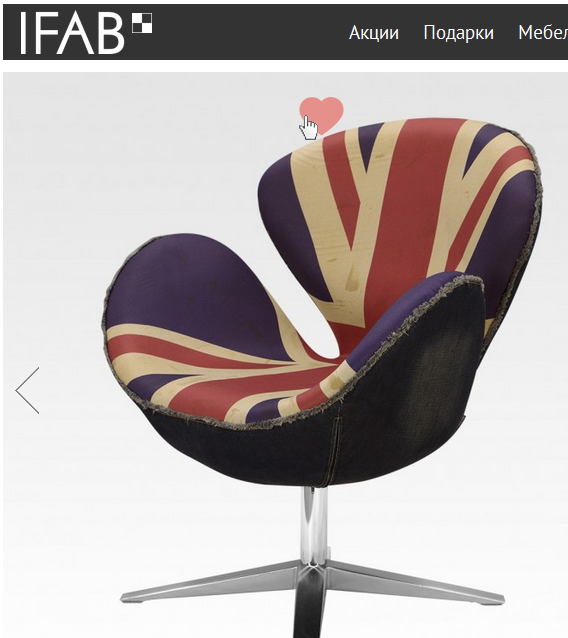 iFab is a creative symbiosis of designers and manufacturers offering a wide range of unusual furniture and interior item. 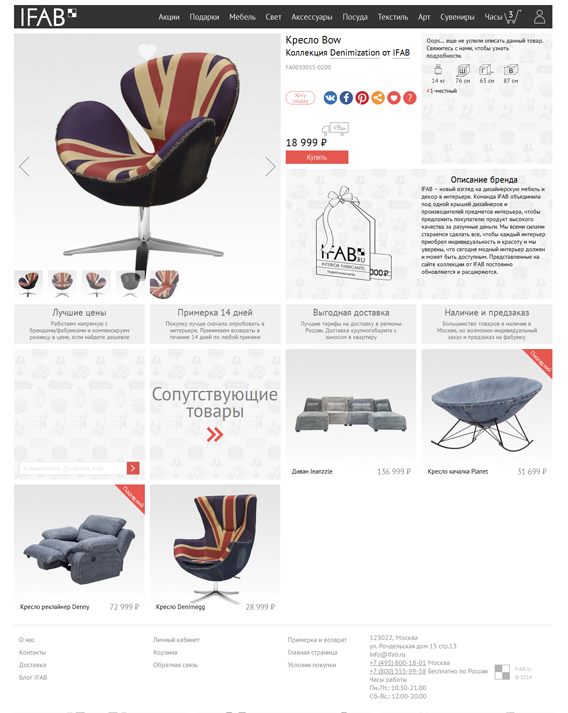 For the InteriorFab brand we implemented the complete updating of the online shop including non-standard catalogue development and migration to the Magento Enterprise platform. 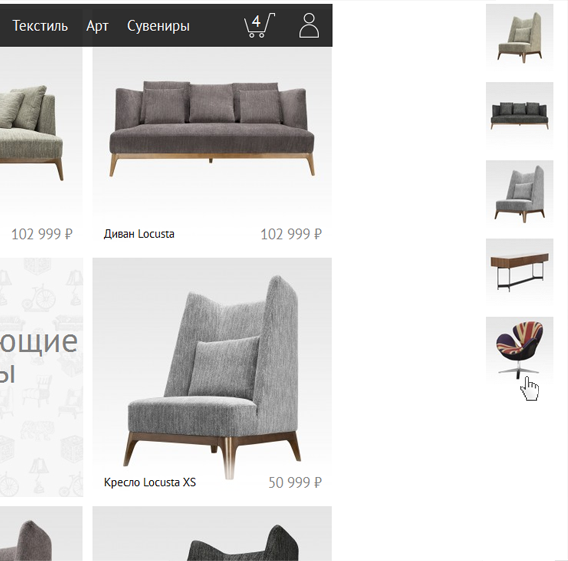 Elaborate section navigation enables to find easily the required product despite the brand and categories. 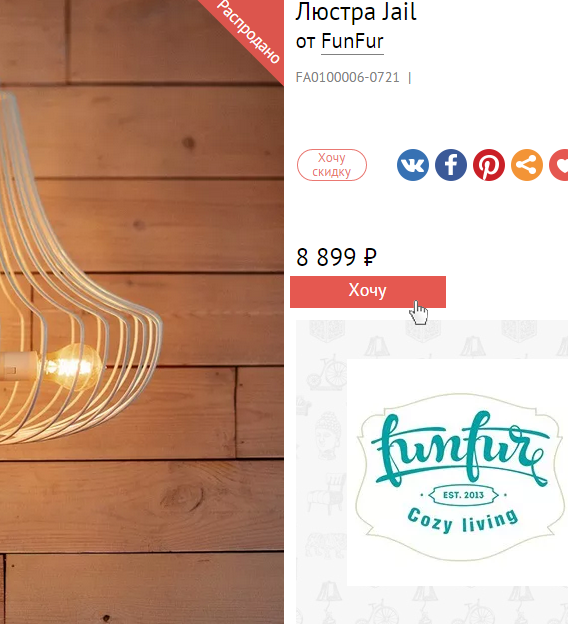 The most popular products and best-sellers of the shop are displayed on the main page and on the checkout page. 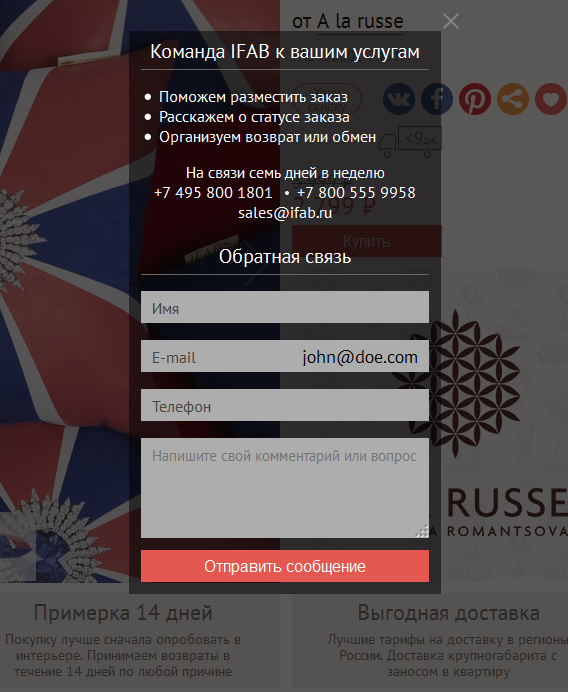 Fast one-click registration helps to avoid long customer register forms. This saves time and makes the checkout process easier. Options’ extension helps to view not only all the information on availability, dimensions and summary of the item, but also the modifications and combinations of the product in stock. 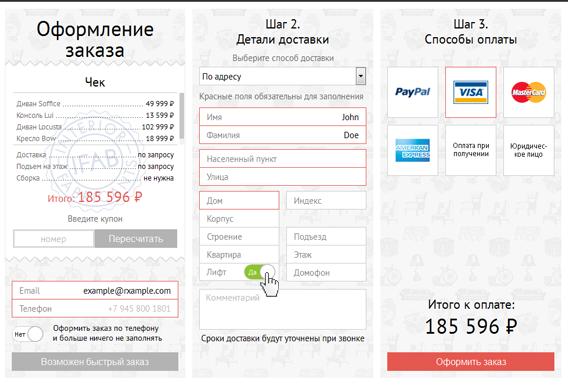 One-page checkout enables to purchase a product and arrange its delivery just in 3 steps. Social buttons are located on every item page. 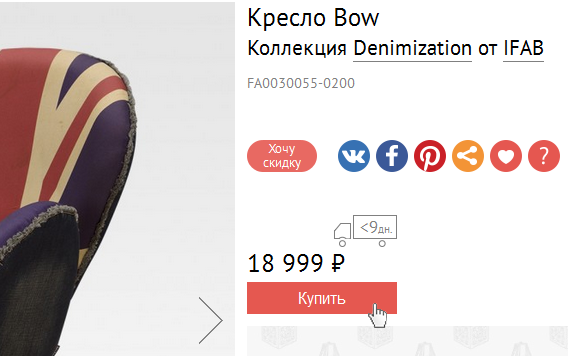 With them you can tell your friends in the social networks about an item and discuss the purchase details. The history of recently viewed items lets the customer to retain items and several times increases the potential purchases. 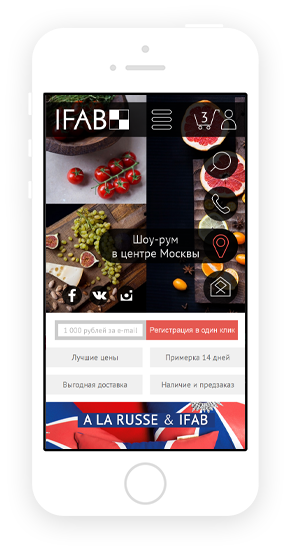 The system of coupons and discounts enables to keep up interest in the shop and several times increases the buying motivation. 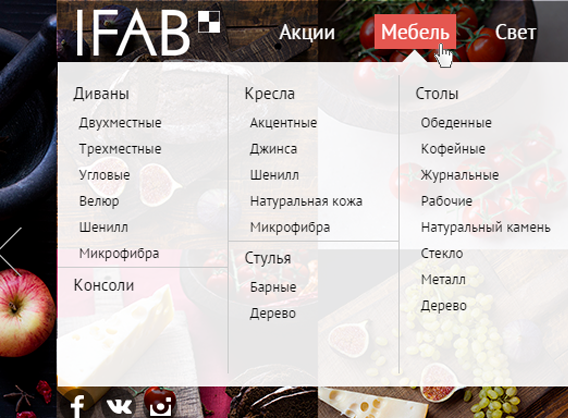 The module enables to for a separate list of desired products. Due to this function you can easily find the marked items and buy them without researching them in the catalogues. The customer can always leave a request and ask questions not only via the contact form but with the “Call back” service.